Well, apart from the fact the island has a great reputation, this location has many things to offer for your kite holiday or trip. A place with great waves and butter flat water, a place with steady, reliable side shore wind, lots of space and astonishingly uncrowded! Only 7km away from the overcrowded spot of Paje lays this fairly undiscovered fishing village with the same conditions. With a wide range of culinary options and nightlife, as well as a quite a chilled atmosphere everywhere you go, why wouldn’t you visit? The wind blows between mid-June and mid-September and again from December to mid-March. However for the most constant times to come to aim for July, August and January, February. The wind changes direction each season but is always side shore giving great flat water in all spots at low tide and great waves at high tide. Expect air temperature to be around 30 degrees in the winter and around 35+ degrees in summer. With water temperatures staying around 25/26 degrees in winter and 27-29 degrees in summer! Don’t clog up your already packed kite bag with wetsuits as you won’t need them! Car and bike rental is easily accessible on the island for around $20 per day for a car and $15 for a bike. If you don’t need to travel much then taxis are reasonably priced, and they all drive slowly and safely. For a more athletic approach bicycles are available for rent almost everywhere, and local buses called Dalla Dallas to appear from nowhere frequently and cost a fraction of a taxi! From Europe, Zanzibar is normally a two flight ordeal. Although a new international airport is opening end of 2016 and direct flights will become more available. Once on the island, the spots are an hour by taxi, and it’s worth the wait when you finally clap your eyes upon the awe-inspiring colours reflecting from the ocean. There are many different options for food, ranging from the local fair with rice, peas, beans, lentils, grilled beef skewers and chicken (often curried) with local flatbreads called chapatti, to international cuisine serving up a great dining experience. Despite the great range, the best choice to make is to eat the abundance of fresh seafood served at almost every establishment you find, local techniques and spices mixed with freshly caught produce create some incredible dishes! Expect to pay around $8-$10 for a main meal per person in hotels and good restaurants, and around $5-$8 for a main in a local restaurant, and $2-$5 for local street food (also delicious). It’s a strange thing to have both a quiet chilled atmosphere and also a booming nightlife in one area, but somehow Zanzibar pulls it off. There are great parties all week; from Mondays with live music jam sessions with international live performances, to Saturdays big club nights with DJs from around the world. If partying is not your thing then it’s not obtrusive, there are plenty of great places for a chilled night with friends wherever you look! 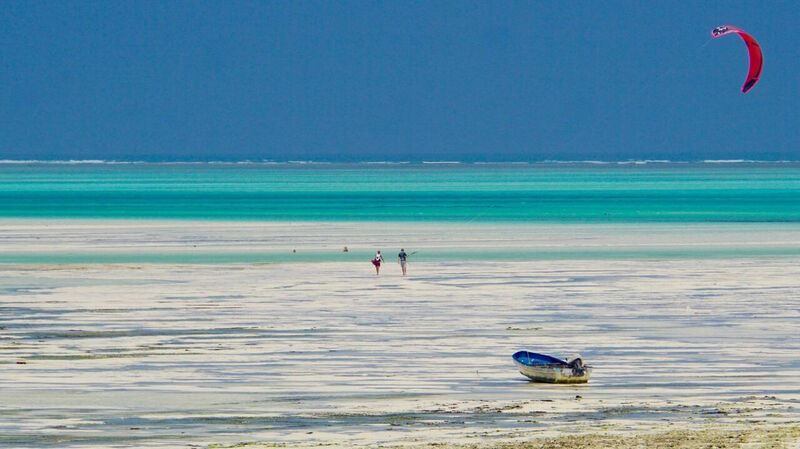 Again Zanzibar doesn’t fall short on this front, with lots of amazing reef diving, SUP tours through the mangroves and surfing trips to the reef. Or for less demanding activities you can go out on the local ‘ngalawa ‘ and see how the captains sail it Zanzibar style and take your time exploring the reefs yourself for around $15. 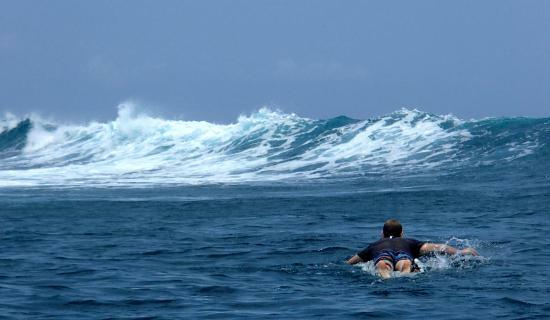 With a mix of waves and butterflat water, you'll never be bored! Again a varied choice here, prices range between $15 – $120 per night for traditional beachfront accommodation and people seeking luxury, there are also places ranging from $300 to $3000 per night! All hotels will help with the organising of trips, excursions, transfers to/from airport, as well pointing you in the right direction for car/bike rentals and closest diving or kitesurfing schools. Check which spot you want to go to and either send the closest school an email asking for their opinion on the closest hotel in your price range, or research hotels in that area. The hang out spot, with a view! 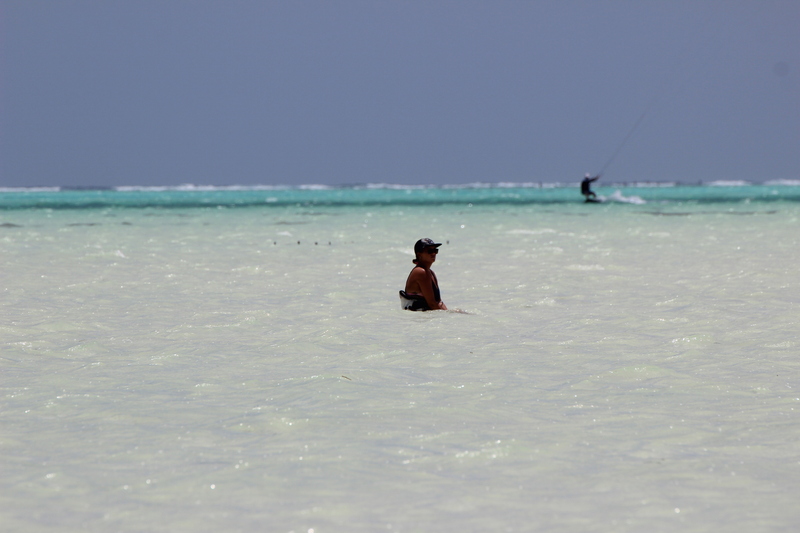 Leo has been travelling and kiting for 10 years now and settled on this beautiful island, spending most the year here. He runs a kiteschool with an onsite Hotel called Uhuru Beach complete with a bar and restaurant, dive centre and yoga session and retreats. Been to Jambiani? What did you think? Where are the Best Kitesurfing Beaches in Jambiani? 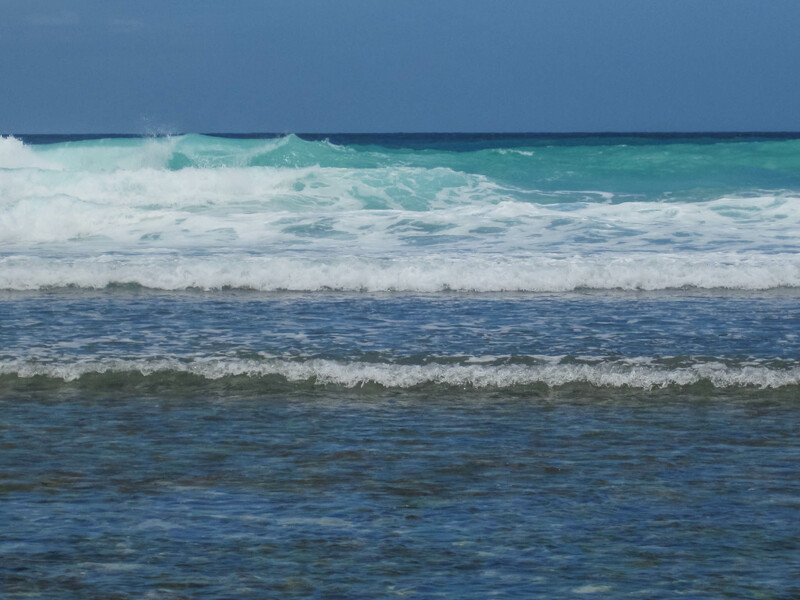 Right from the beach, there is a great lagoon at mid tide with a minimal chop and pure sandy floor. Very few dangers in this lagoon and a couple of seaweed farms that are easily avoidable. Set almost directly behind the front lagoon, this one fills up and gets nice and flat when the tide is on the way out, similar size and description of the main lagoon. Perfect conditions! Great for learning the basics of wave riding, however, waves can get a bit big for a complete beginner, but at high tide, these waves are normally perfect with slow rolling waves with long intervals, and only a 10-minute tack offshore. For more confident wave riders this is the spot for you. When the tide starts pushing in, is the best time to go, with waves on a good day around 2/3m+. Wind: Cross shore from right in winter, left in summer. Never go to the reef alone, and only go if you know you could swim back from the reef! When is the Best Time to go Kitesurfing in Jambiani?